Super excited to bring everyone this fishing report! A bunch of good stuff to report on. 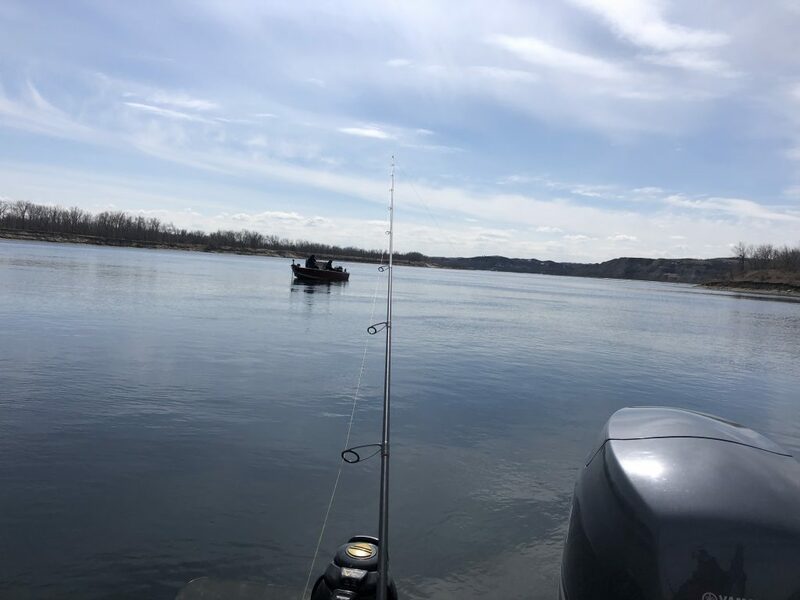 First thing first the open water spring walleye bite on the upper portion of the a Missouri River near and north of Bismarck is now in full swing. The Garrison Dam Tailrace stretch remains low, but the walleyes are there. You have to work for them but if you have patience and can grind it out the days end up pretty well. Now, I will say this, it’s going to get lower starting April 9th. The Corps of Engineers have decided they are going to cut flows for a few weeks due to flooding downstream. So what are the reduced flows at each end of this walleye tank going to do? My guess it might be a lot like 96-97 when the water was high and backed up. The water in the river is super low right now, but with zero coming out on the bottom end it will begin to climb up hill. The movement will be slower for sure. As of this report there are a few boat ramps open in the Bismarck-Mandan area. Fox island is pushed off, the interstate ramp is pushed off and useable. The only issue we have at the moment is muddy waters. Usually with good flows coming out of the Dam things clear fast. Not sure how the lower flows are going to affect this? However, I feel the fish are here and waiting, and with low waters they should be concentrated. Go to tactics early on in this dirty low water will be big jigs, big plastics, Misty in whites will be best. Don’t be surprised if the fish are in really really shallow. I know I’m super excited now to start probing the river here locally!